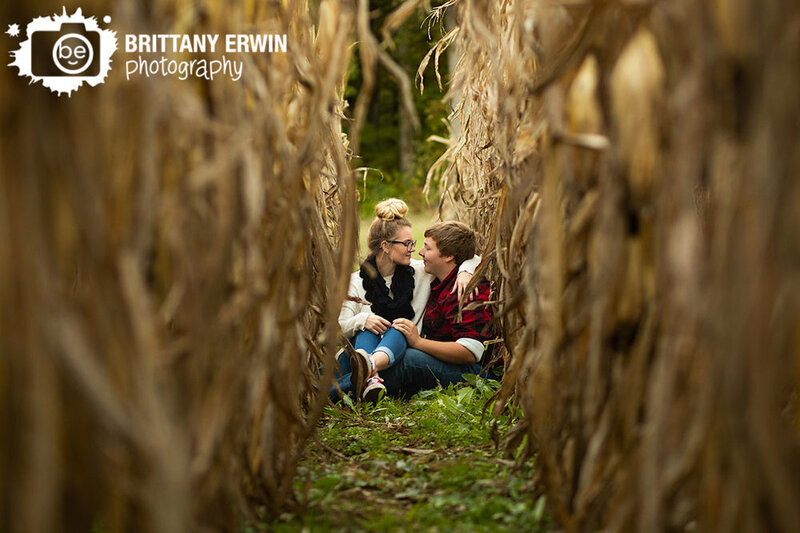 Fall is quite possibly my favorite time to get outside and photograph couples. The weather has finally cooled off, the trees have started changing and I may be a little biased when I say that we have one of the absolute prettiest falls here in Indiana. 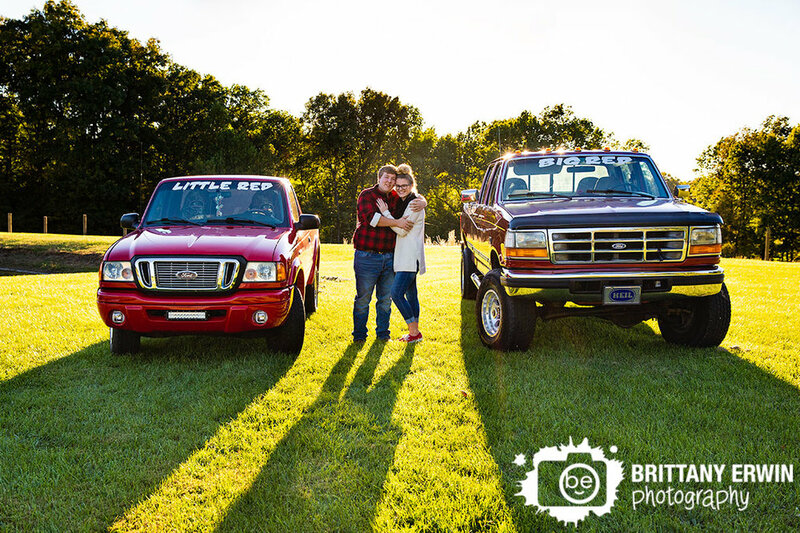 When Emily said she was really hoping for some photos in the fall, I was completely on board and excited to head out to Isaiah’s family property down in Martinsville. I had so much fun walking around with these two and our tag along kitty, Gizmo(did we get confirmation that’s his name?)! We ventured around the property for some stunning sunset views along their long drive and back with the corn field then finished up near the house on a GIANT log(that I somehow didn’t see at first - sometimes things are just ‘too big’ to see… right? ).